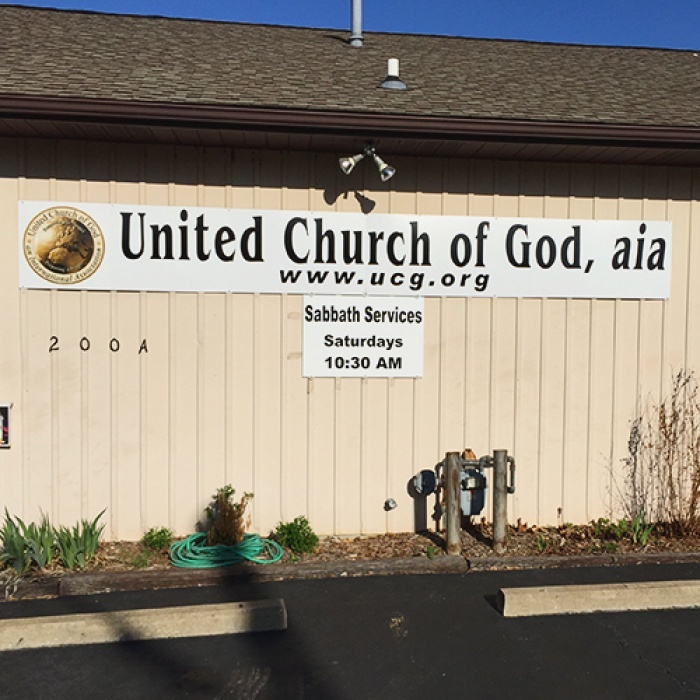 We meet each Sabbath (Saturday) at 10:30 am at the United Church of God building, 200 A Collinsville Road, Troy, Illinois. However, we occasionally meet at 2:30 pm. Visitors are welcome. We are small but I'm sure you will find us warm and friendly. If you are planning to visit us for the first time, you may want to touch base by email or phone. We sometimes must change the time of services for special events or inclement weather. Welcome to our website! We are a church that strives to live by every Word of God, Matthew 4: 4. We follow the teachings of God our Father and His dear Son, Jesus Christ. Jesus set the standard for us so we strive to honor, obey and love both His Father and Himself. We follow God in worshipping on the Sabbath, as He instructed, Exodus 20: 8-11. Readers of our Beyond Today magazine notice that we often speak of “Help for today, hope for tomorrow.” By this we mean that as a church, we want to reach out to this world to help you to spiritually improve your life today while pointing to a much brighter hope culminating in the return of our Lord and Savior, Jesus Christ to the earth. We welcome you to visit us. I’m sure you will find our people to be a very sincere and loving congregation. And, I’m looking forward to meeting you too.